There’s a wilderness explorer hidden in all of us which apparently tends to come out every year when you plan out those summer camping trips. Oh, how fun it is to lie under the skies and witness nature at its best. In fact, it is said that the average camper went on 4.97 camping trips. Out of them, almost half of all American campers plan their trips at least one month in advance. But even after being so organized in the way you prepare for your camping trips, I can guarantee that most of us do forget some or the other accessory at times. 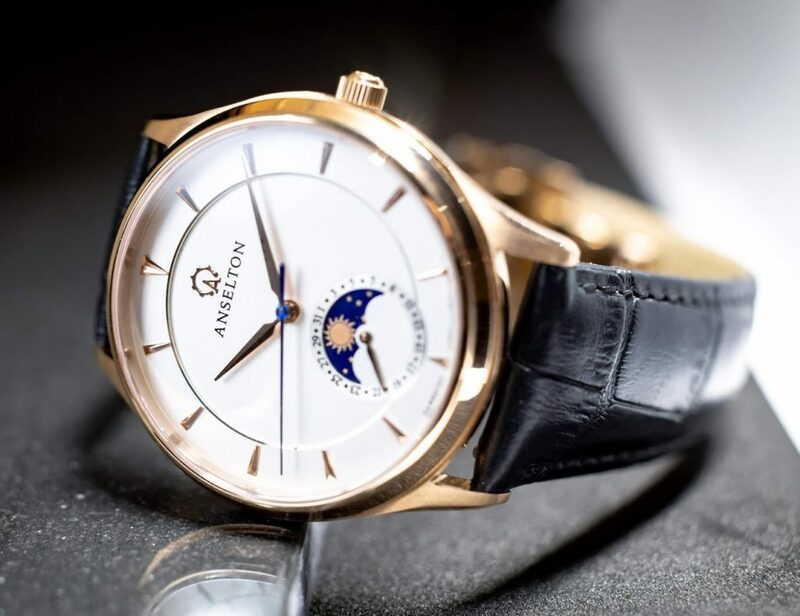 Again, if you’re like me, you’ll tend to get confused with what to carry and what not which eventually lets you carry two same things and forget another important one instead. 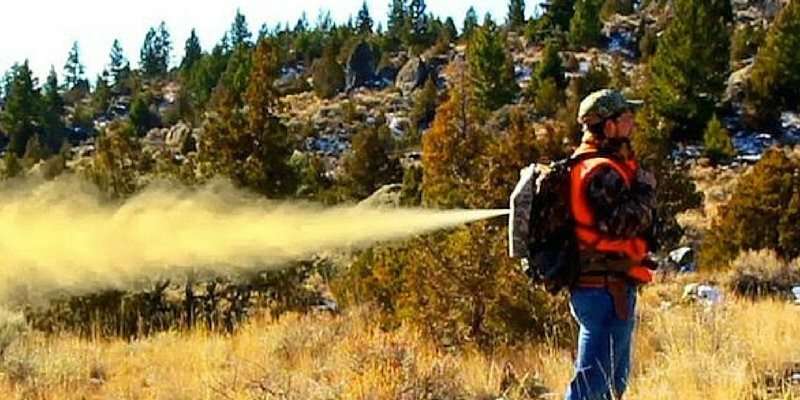 So, I thought why not start this week with a quick guide on the latest and the best camping accessories you must use to make your camping trip the best in a lifetime. 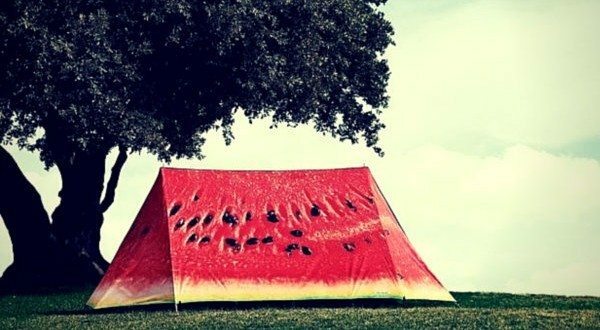 Camping and tents go hand in hand. 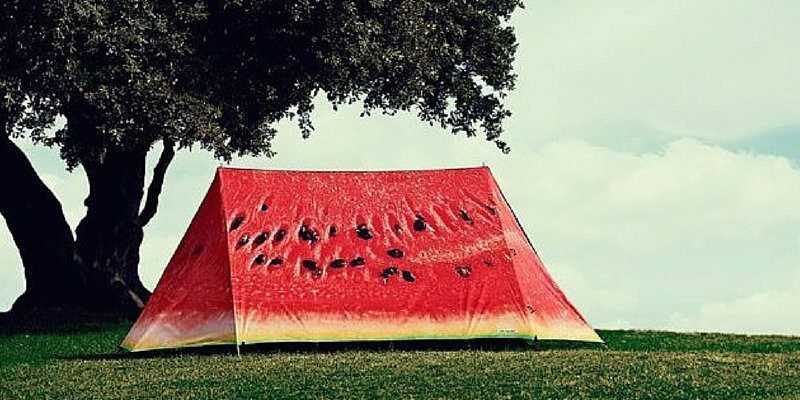 But with this melon tent by Fieldcandy, you’ll only be making your experience even more fun during summers. Don’t forget to carry a real watermelon too! You can’t always camp on ground, can you? 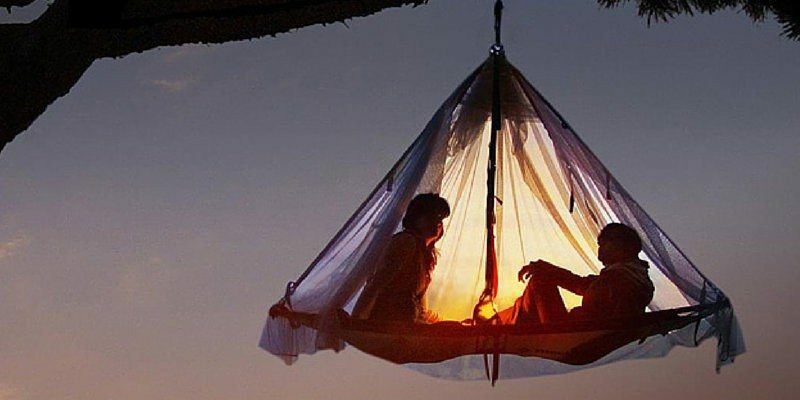 Sometimes it would be good to hang from a cliff and spend those romantic evenings in a more natural way. Nope, it won’t fall off! Camping means you need to have proper drinking supply with you. But what if you run out on safe drinking water? 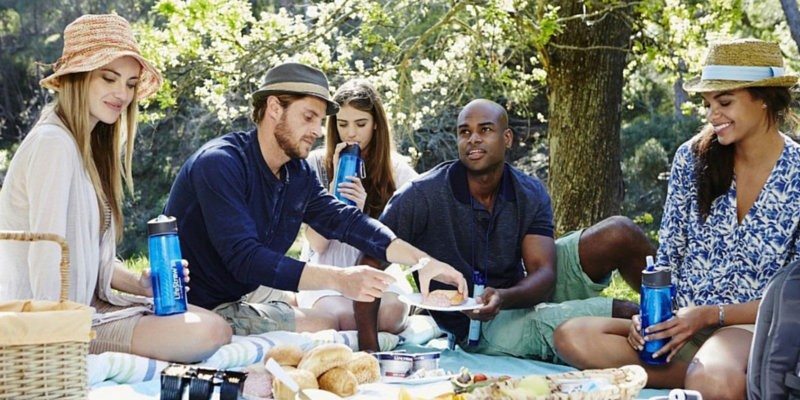 With LifeStraw water filter bottle, you’ll be able to make any natural water supply into safe drinking water. Don’t forget to carry yours whenever you’re out for an adventure! 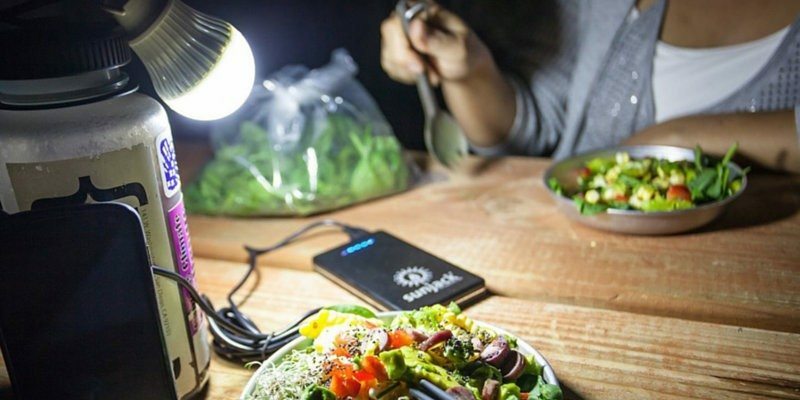 The beauty of this device is that it can provide off-grid power using nothing but heat and water. 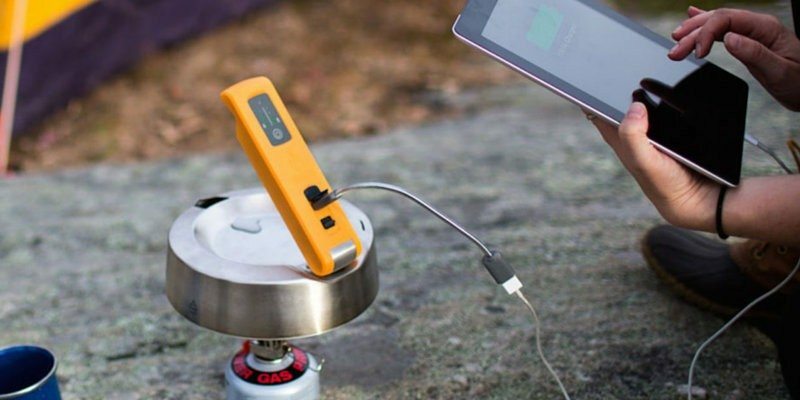 So your gadgets will not run out of charge while you go camping! Going out on camping in a truck? Turn it into a swimming pool instead! 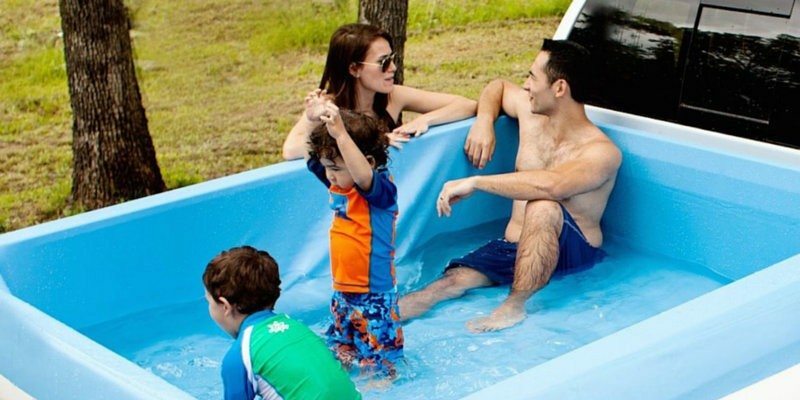 How fun will it be to chillax under the sun on those hot camping days. You need lighting for your tent and this is where you’ll need the SunJack CampLight. Power it from any standard USB source – compatible with all USB wall plugs, USB batteries, and laptops. 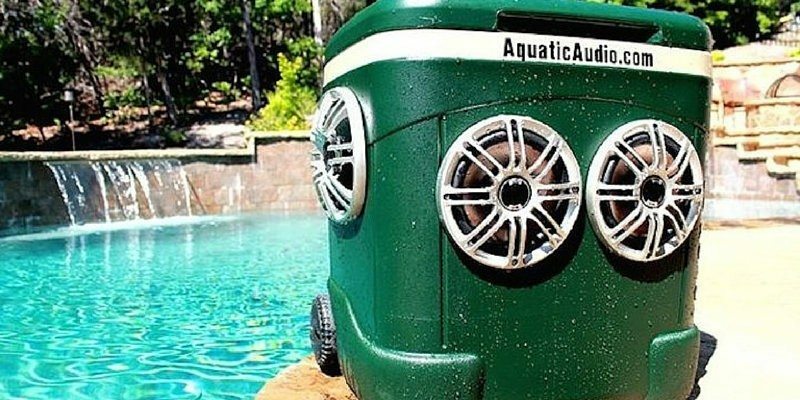 What else can possibly be the right device to carry on a summer camping trip than this Radio Cooler by Aquatic Audio. 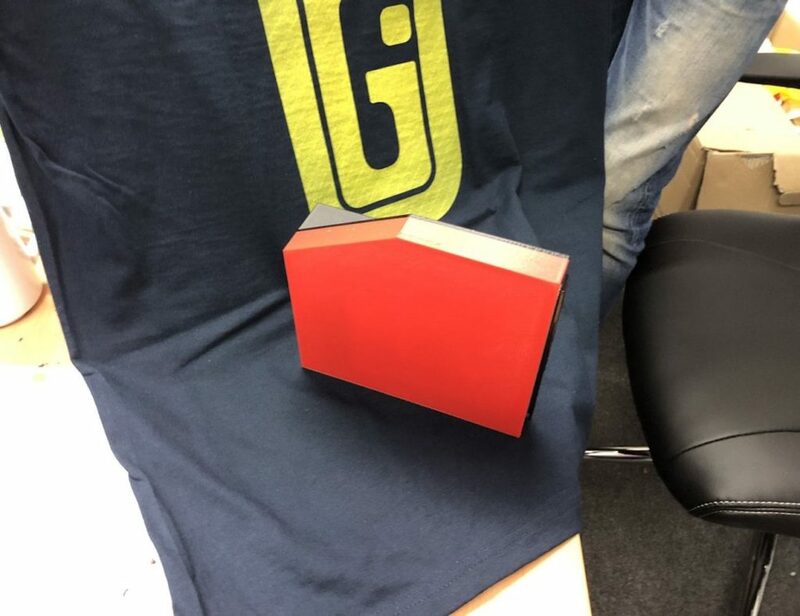 It’s actually a device with a weird combination of a cooler and speaker no one’s seen before. 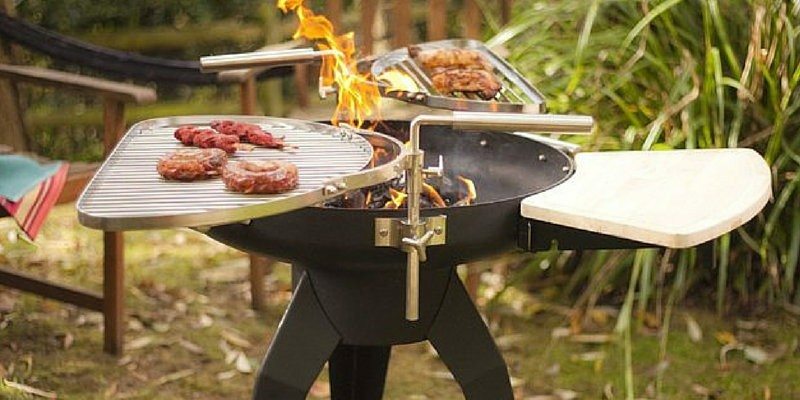 It’s possibly an all-in-one BBQ equipment that has everything in store. By everything, we mean two removable swing-out chrome grills, a removable wooden chopping board, five utensil hooks on the side and an ash collector. Every camping must have a BBQ! 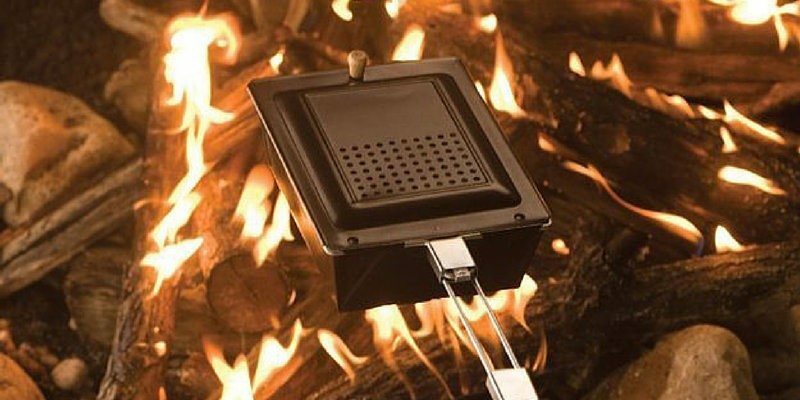 Made of heavy-duty steel with a nonstick coating, the Coleman Popcorn Popper is for those who can’t stop munching popcorn even during camping trips. Enjoy a chilled breeze of cold air up to 25 miles per hour at a temperature up to 35 degrees below the outside temperature from the IcyBreeze Portable Air Conditioner and Cooler. 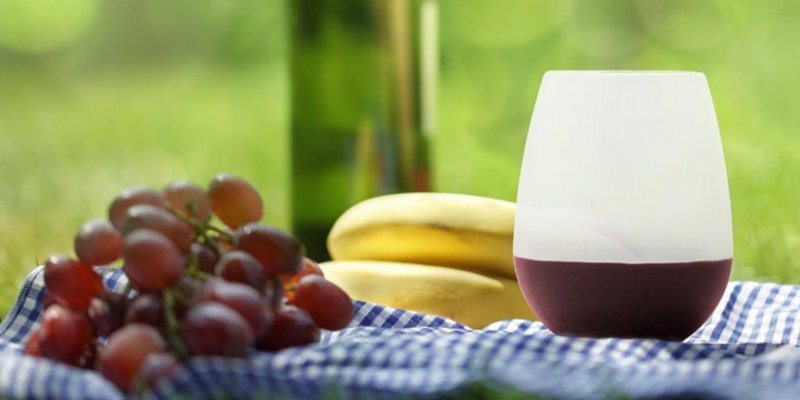 It’s ideal for your sunny day outings which not only keeps your drinks chilled but also provides you with cool air so as to make you perfectly compatible for beating the heat. However, sometimes wine glasses can get pretty messy, especially if the party is intense and the glasses keep breaking. That’s why you can carry these silicone glasses during camping. Traditional military backpack design with spacious compartments. 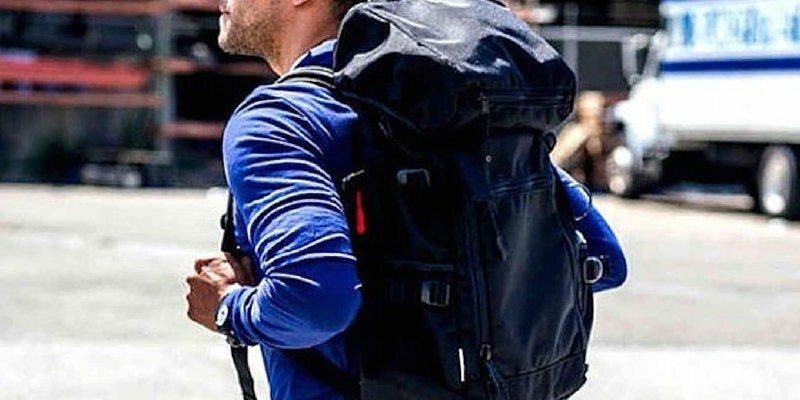 This Black Utility Backpack by DSPTCH is a slimmed version of a classic backpack you can use during short trips or camping. Keep yourself protected from the back during those adventurous trips. By using the Anti-Bear Attack Pack, you’ll be able to tackle those unexpected attacks from behind with ease. 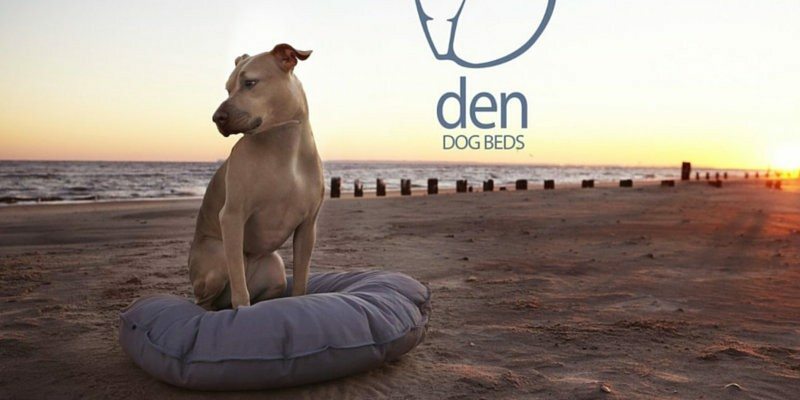 DEN dog beds are made of durable denim. The fabrics chosen wear well over time and tell a story. We believe your furry friends deserve a good abode during camping too! 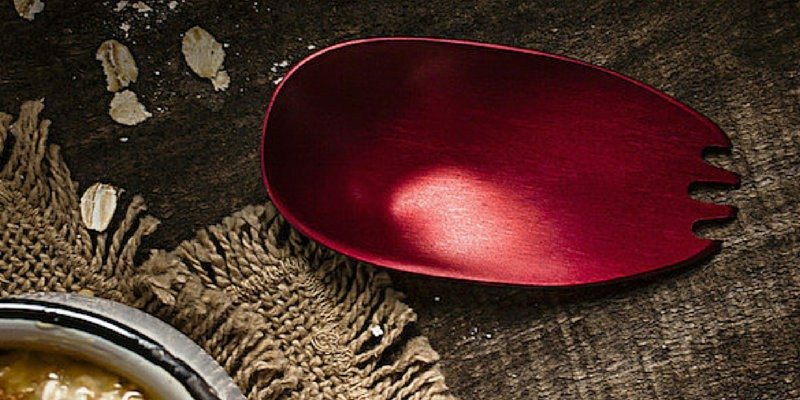 Kuma™ is a compact spork that fits in your pocket or the palm of your hand — a utensil fit for the modern lifestyle. It’s easy to stow away and the perfect companion for your camping trips. Want to check some more? Try going through our Camping Gear collection time and again and keep yourself up to date with every necessity you might require for those camping times. Happy Gadgeting!